This title certainly there will be again, many of you will already experienced miners. 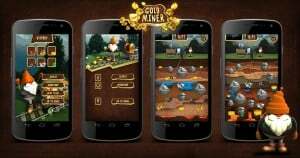 Gold Miner , in fact, had already been very successful on the PC and for that reason came multiple versions for Android.The developer Kirson has recently launched another game like that, Fred Gold Miner. The champion of the game will use the classic moving clamps to attach gold, iron and various diamonds. As always the tongs will move constantly and your mission will be to plug at the right time to stretch your arm so as to hit the various materials present in the ground.You might want to avoid the stones, especially the big ones that will pull slowly and, therefore, will make you lose a lot of time. When the cart is full, you will get a certain number of stars, but you have to finish the job before the time runs out. After the mission, a screen will show you the materials collected by the miner. The latter may be used in the laboratory to enhance and change the tools of the protagonist: create a “reel” more powerful, a most durable, the new pliers and a cart’s capacity.The creation of these new tools will help get the job done much faster and you can take any kind of material, even those larger and heavier. Gold has always been valuable, rare and welcome all metal. But for its production needs great efforts.Fred , a gold digger in the third generation , decided to try his luck in the search for gold . Taking with them all the necessary tools : a hand winch , copper wire , copper bucket and a small trolley to which it adds its mined resources , he moved to the mountains to dig in and pull out of the bowels of the earth gold nuggets . When gold mining are also some other minerals , copper ore , iron ore , coal , precious rubies and emeralds.Near the mine Fred built a small workshop where he repairs and improve their tools and melts extracted resources.Help Fred get the gold! For him, it’s more than just a game. Fred has big plans and be sure will please you in his other adventures. 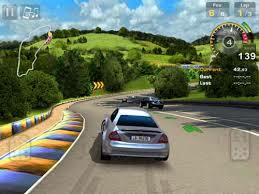 The application can be downloaded free from Play Store. If you love Fred Gold Miner, this version will not disappoint you!